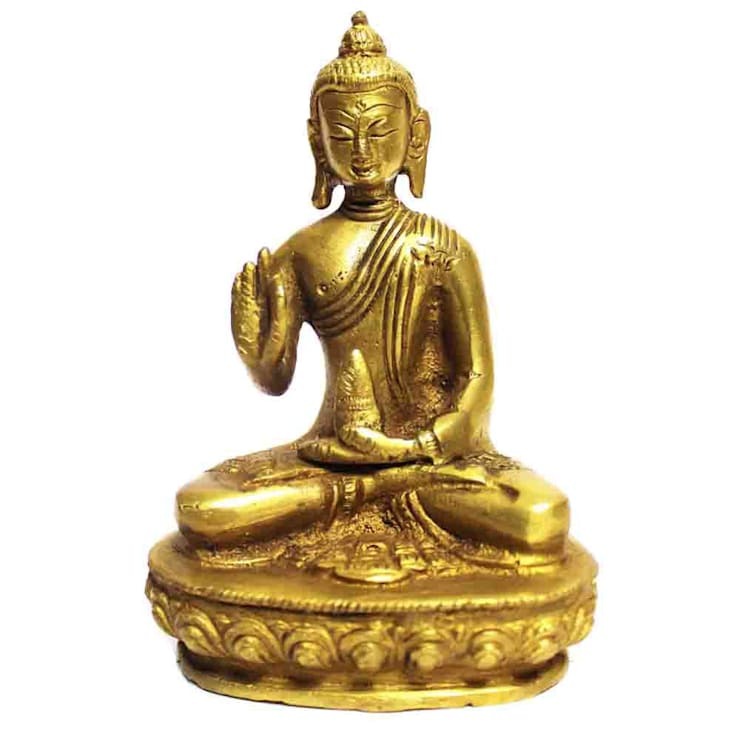 Brass Finish Meditating Buddha Statue sitting with his right hand held up in the gesture of discussion and transmission of Buddhist teachings. He has a large rain drop shaped third Ieye on his forehead. The third eye shows that the Buddha can see the true nature of reality. His robes have floral designs in them. He is seated in the padmasana or lotus position on double lotus base. It measures approx 3 x 2 x 4.5 inch.